Chop ½ cup fresh mint leaves and mix in with 2 cups of water and some sugar. Boil on the stove until the sugar dissolves. Strain the syrup and let it cool. 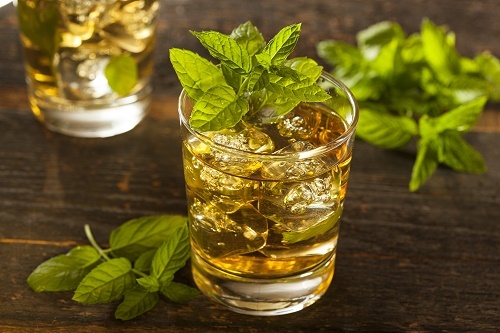 Pour a quantity of the syrup into a glass with crushed ice, add in some bourbon and serve with sprig of mint.